Circulation problems can cause widespread, serious medical issues, including heart attack, stroke, and organ damage. 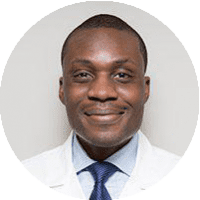 Dr. Dele-Michael helps Manhattan, NY; area patients get the care they need for their vascular disease issues so they can optimize their health and wellness. Circulation problems are typically caused by a vascular disease that can affect the arteries (the vessels that move blood away from your heart), the veins (the vessels that move blood back to the heart), or both. There are several types of circulation problems requiring different types of treatments. Atherosclerosis is sometimes referred to as “hardening” of the arteries, and it occurs when fatty, waxy deposits of plaque build up along the walls of blood vessels, causing them to become less flexible and eventually slowing down the flow of blood. Over time, these deposits can become large enough to block blood and cause heart attack, stroke swelling in the limbs and tissue death. What are some common types of vascular problems? Peripheral artery disease (PAD) – PAD occurs when the arteries outside your heart develop atherosclerosis, resulting in narrowed arteries and decreased blood flow to the organs, a condition called ischemia. Carotid artery disease – Your carotid arteries are located on either side of your neck, and when they become blocked with a build-up of plaque, strokes and “mini-strokes” called transient ischemic attacks (TIA) can occur. Coronary artery disease (CAD) – CAD develops when the arteries that supply your heart with blood become blocked, causing chest pain (angina) and heart attack. How are circulation problems treated? Your treatment will depend on the type of vascular condition you have as well as other health factors. In some cases, mild issues may be improved with lifestyle changes, including changes in diet and an increase in physical activity. In other cases, you may need medication or even surgery to help open blocked vessels and improve blood flow. 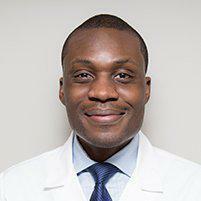 Dr. Dele-Michael will be able to determine which type of treatment suits your needs.